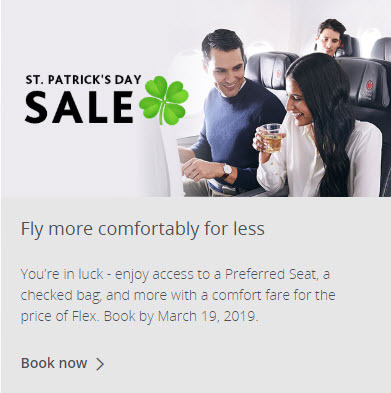 For a limited-time only, save 15% on Economy class (Basic & Standard) base fares with promotion code HRRT2XE1 on select flights within Canada, to the U.S. and sun destinations. Hurry, book by March 14, 2019. 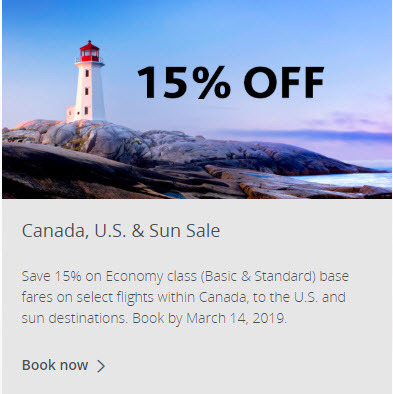 Book by March 14, 2019 at 11:59 pm from your city of departure in Canada. 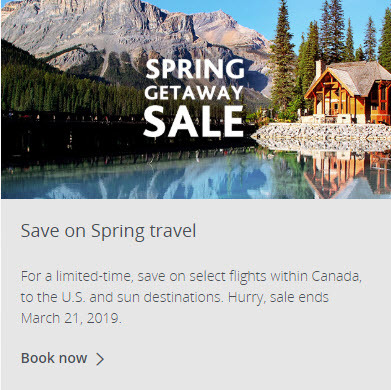 Travel valid from March 13, 2019 – June 30, 2019. Planning a trip soon? 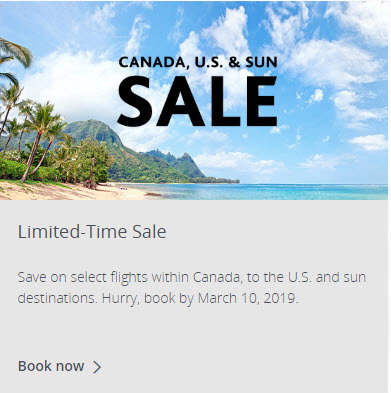 Now is the time save on select flights within Canada, to the U.S. and sun destinations for travel until October 27, 2019. Hurry, book by March 10, 2019.